Three hours! Yes, three whole, entire, wonderful, quiet, peaceful, sweet, get along, no fighting, working together hours! Maison and Layla dug this Mechanical Xylofun Music Machine out Saturday morning and it took them three marvelous hours to put together! It was pretty nice seeing them get along so well for so long. So I picked out this music machine from PlaSmart Toys because it reminded me of the old jewelry boxes from when I was little. I'm sure these are still out there somewhere but it's been years and years since I've seen one and I thought how neat would it be to let the kids build one. This thing is so cool! 208 pieces including metallic sound plates, a plastic easy to turn handle and engineered wood components. Truly a STEM do it yourself toy! The Mechanical Xylofun Music Machine comes with everything you need including a set of instructions and instructions on Youtube in case that's not enough. So by moving the black pegs throughout the holes on the barrel you can control the music notes. The package comes with a couple song instructions like Happy Birthday and Jingle Bells but the sound plates are labeled with each note at the bottom so adjusting accordingly with other sheet music might be a challenge but not impossible. The music machine also came with a "Learn & Explore" sheet which teaches in a fun way. The Learn & Explore sheet teaches the kiddos that their new music machine is in the percussion family and then explains why. The sheet also teaches the kids to explore with their machine by pressing on the metal plates or moving the machine to different surfaces. I love how PlaSmart Inc encourages the kids to think outside the box while connecting with their creativity side. So the finished product is pretty cool! Honestly, I can't believe the kids sat down for so long to build it and play with it. I was really shocked that there was something that could keep their attention for so long and as a mom that's great! Plus their learning about gears , ratchet mechanism, and music! The sun was shining and the kids were outside!! WOOHOO! And I was doing everything I could to keep them out there! They have been stuck in the house way too long! So what better way to "have to stay outside" than a new paint set. We got this Paint-Sation Table Top Easel from Goliath Games and I knew now's the time! Sure enough another couple of hours in a kid free house! Some Mom assembly required as I didn't hand this one off to the boys. The paint-sation took just a couple minutes to put all the pieces together, no big deal. It came with plenty of paper to keep the kids busy for a couple days. Miss Layla, Jeramiah and Maison all painted for awhile on it and I still have about half the paper sitting here at my desk. And I think it's just regular printer paper so getting more is no big deal. The paints each snap onto the side so it truly is an upright paint-sation but Layla prefered to lay it down on the talbe. Whatever works I suppose. Also, the yellow clip at the top holds the paper in place well and there's a spot on it for the two paintbrushes. Well believe it or not, spring is here and summer is just around the corner. Hopefully that means Mother Nature got her act together and realizes it's time to warm up! Either way, I've already started wearing flip flops so I welcome the sunshine! With spring comes flip flop season and today we are out and about in a pair of Oofos! The OOFoam is great! I haven't been out much since Baby Kolton was born and these flip flops really ease the stress on my feet and help me get around better. Our yard is really rocky especially up close to the house. The thick supportive sole absorbs the shock of each step and I can't even feel the rocks I'm walking across. I also wore them to the park yesterday for Koltons first trip to the park and didn't feel like I was dragging my feet to keep my flip flops on while walking longer distances. The Oofoam is great at holding its cushion and support! These flip flops will also be great for the beach. I love that they are textured rather than smooth. My feet always slip around on smooth flip flops when they get wet and it's hard to keep them on. They are also super light so they float! Plus the oofoam is moisture resistant so they wont stink! They would be great for Maison too! Oh my gosh is feet are horrible! I'm thinking Maison could use a pair over the summer and these would be great for Jeramiah when football starts back up! Who would benefit from a pair of Oofos Flip Flops in your house? After almost 11 years in Law Enforcement, the medical alert cross really stands out to me, so when I was playing around online, MyID instantly caught my eye. A few clicks later, I knew I wanted to see first hand how their identification products played out. The whole instant access app made my curiosity grow even more! So MyID sent us three different products; a MyID Sport Medical ID Bracelet, in small for Miss Tator who has FPIES, a MD Hive Medical ID Bracelet that I'll keep for myself to play around with and then a MyID Sticker set that I can give to my mom who's a diabetic. There really is something for everyone. They even have more fancy bands too! So as a first responder, if I come across someone that has a MyID bracelet I would instantly notice it. Like I said, the medical alert cross stands out because that's how we're trained and each of these products clearly display it. The bracelets are also easy to understand. If I come across a patient that can't give me all of their vital information or someone so young like Tator, I can access the necessary medical information three different ways. First, by calling the 1800 number on the bracelet and using the ID and Pin number. Secondly, I can scan the smart code, or I can go to GetMyID.com and there's a access point on the first screen. This process takes just a few seconds and no instructions were needed. I love that MyID offers the service with vinyl stickers. I know a lot of people that don't wear a medical alert bracelet for whatever reason. On an emergency scene, we often have to look for identification. The sticker set comes with 4 identical stickers, which is enough that they could be placed in a wallet, on a refrigerator even on the rear view mirror or windshield of their vehicle. I will often pull down the sun visor to look for mail with a name on it so those are all good places to utilize the sticker set. The stickers come with 4 identical vinyl stickers so there's enough to place in several different locations. Ok so how does MyID work on the patient side? Like I said, there's an app for that... (of course) or you can go online to enroll and set up your profile. Either way it's free and free for life. There is an upgraded version you can purchase but I didn't because so far it seems like the regular profile has everything on it I could ask for, including a picture. So each user profile contains personal information such blood type, height weight, address, phone, and emergency contact. But then also the more pertinent information like medical conditions, allergies, medications, physicians and insurance. Plus there's an "other" section just in case there's anything else you would like first responders to know. The profile was super easy for me to set up, taking a whopping 2 minutes. But of course time it takes to complete a profile will just depend on each person and how much they have to enter. Oh and you can link products. So if I was a child, Mom could link my profile to hers and access them both from her log in information. Overall, I love the MyID products! I love all the different options in products from the sticker set to the fancy bracelets. I love how they are based on one core concept, getting help to people in a time of need. I love how accessible it is to emergency personnel as a huge frustration is seeing an alert bracelet and then what... We know they have a medical condition but what else do we not know? MyID covers everything from identification to medical history and contacts. I will try to keep this as updated as possible. But here's a direct link to the baby coupons on coupons.com. This page may contain affiliate links in which we receive a small compensation for you click on. Chewy.com has Rachael Ray Nutrish! Chewy.com is never disappointing! They have the best selection and month after month I'm able to find special treats just for Tally Girl. This month, I ordered these Grain Free Burger Bites from Rachael Ray Nutrish! I know poor Tally has been a little neglected since Kolton arrived. So I think it's important to remember to give her something special and these beef burger with bison dog treats do the trick. And of course, Tally loves them! They are soft and chewy which she prefers and made with real beef. These treats are free from all grains, artificial flavors, and meat by-products. I love giving her food that's healthy and free from all the junk! And I love that I can find all that on Chewy.com! Look how meaty they are! Yesterday, I was putting away Kolton's laundry and figured I would put him in his crib for tummy time while I was standing right there. I love stimulating sensory toys for him so I grabbed this Baby Newspaper from People Toy Company and placed it just in front of him but within reach so he could make it crinkle. He was doing so great at holding his head up I ran to the living room to grab the camera and came back to this! He rolled over!!!! After I let out a little gasp, I had to take a couple pictures! He's already getting so big. People Toy Company sent us this Baby Newspaper which I figured would be perfect to start him on tummy time! Turns out I was right? The Baby Newspaper is fabric coated crinkle material which has been printed on with cute little statements from moms and facts about toys. The black and white print is great for visual stimulation and easy on his eyes since he's so young. The crinkling noise keeps his attention even in the swing when I placed the newspaper on his lap he continuously kicks and rubs his hands across it to keep the noise going. But one of my favorite features about the baby newspaper is I can toss it in the washer if it gets dirty. It's machine washable! I just think this Baby Newspaper is so cute!! I'll continue to utilize it for tummy time in his crib. He was so content batting away at it. Until 4/30 if you go to Amazon and get the Baby Newspaper you can get Sammy Squid Teether for FREE! Just look for the promotional button and add both to your cart. Question #1: Do you ever get one of those kitchen gadgets and it's like "WHY HAVEN'T I SEEN THIS SOONER!" Question #2: Do you remember the popsicle makers that you pour juice in and then have to wait hours for them to freeze so you never really ended up using them and in a drawer they sit? We got the ZOKU Quick Pop Maker a couple weeks ago and the kids begged every single day usually 10 times a day to use it... They were starting to drive me crazy but I really hadn't felt like digging it out because I hadn't been to the store to get anything to put in it. Well hubby took Jeramiah to the store and he bought his own Kool-Aid to use. Go figure right? That's what I call old school kiddo! OK So at that point I had no reason to continue saying no. Before I knew it the kids all had popsicles and hubby was in the process of making more! I used to hate making popsicles because when you want one, you still have to wait for several hours. By the that point, I would either not want one anymore or have eaten something else already. Now we can make them in minutes!!! So right from the get go, I put the ZOKU in the freezer and that's where we store it to keep it ready at all times. Sometimes if we're making several batches we have to put it back in the cold in between but usually we can pour our liquid in, toss it back in the freezer for a couple minutes (this is how we keep it colder longer) and after a few minutes it's done! It's of neat how this is designed because the popsicles come out absolutely perfect! They are smooth and shinny and they stay on the sticks really well plus the sticks have a drip guard. It also comes with a "Super Tool" that helps pop the popsicles out easily. So far the kids make popsicles out of Kool-aid (I still think that's cute!) But hubby and I have used Strawberry Yogurt and they were incredible! I'm thinking maybe some fudge pops out of a chocolate pudding and oh how about creamsicles too!! The ZOKU Quick Pop Maker totally makes me smile because while I figured the kids would have fun with it and use it a million times over the summer, I never thought hubby and I would too! Be sure to check out ZOKU Quick Pop Maker and seriously look into getting one! We love ours and we can't wait to share great popsicle recipes all summer long! Be sure to check out all our current giveaways! I pulled Baby Kolton's blankets out of the dryer the other day and I thought I was going to get shocked to death with all the static! Holy smokes! I used a dryer sheet but only one because they have a lot of scents and perfumes on them. I don't want to expose his newborn sensitive skin to that yet. Then I remembered there's such a thing as wool dryer balls, so I started looking for companies online that not only carry them but have the best quality materials. I came across Friendsheep Eco Dryer Balls and decided they were the ones. Let's travel back to Nepal where the dryer balls are individually hand made for fair wages from 100% premium organic New Zealand Wool. We can use these dryer balls over a 1000+ times, so what's that a weeks worth of laundry in our house? No, really, they should last a little while which is nice! The Friendsheep Dryer Balls are biodegradable, chemical free, scent free, hypoallergenic, and last but not least baby safe! How do they work? You simply toss them in the dryer with your wet clothing and they tumble with and in between your clothes. The dryer balls soak up moisture and allow additional air flow drying your clothes faster and reducing wrinkles and static! So what do we think? I love that they are made of 100% organic wool and are chemical and additive free! I love that they completely replace my dryer sheets (which I'm almost out of anyways darn the luck). If one day, I want the scent in my clothing like that which comes from dryer sheets, I can add some essential oils but for now I like that they are safe for Kolton. I love that they help dry his clothes faster and his blankets are less "shocking" when I'm trying to put them away. Oh and I LOVE how stinking cute these are! Friendsheep has several different designs. Aren't these koala ones just too cute?! I also received a set of Organic Fabric Freshener. They are these cute little shapes that are loaded with their signature scent "Sun is Shining". I loved the blend of lavender and orange so much that I put them in my car! My car smells amazing now! They are up front by the dash under the middle console and when I open my trunk I can smell them! Plus they're not overpowering when I'm up front. I love these little boogers! Plus eventually when the scent wears off, I can just add some more and they are usable over and over again! Ahhhh I love bamboo, but I think I've said that before. However, up until last week, I hadn't found a company that produces bamboo crib sheets and changing pad covers. I now introduce you to Land of the Wee! Bamboo is one of my favorite materials for it's quality products and eco-friendly production. Land of the Wee uses 70% Bamboo and 30% Cotton in their crib sheets and changing pad covers so I wasn't surprised at how soft the material is. Silky soft and very light! I actually used the changing pad cover in Baby Kolton's bassinet while he's in our room, although it's made for and fits his changing table pad. It's great in both places, but for now he's in our room and I wanted the benefits of the bamboo material now rather than later. So besides for being silky soft, why bamboo? Bamboo is extremely eco-friendly and can grow 3 feet a day plus requires 90% less land compared to other crops to make the same yield. There's no irrigation required to grow bamboo as it can survive solely on rain water alone and it reproduces itself from its roots so there's no replanting once it's harvested if done correctly. Plus, bamboo fabric is biodegradable! Bamboo is naturally organic, surviving without the use of any pesticides, herbicides or fertilizers by using its own natural antibacterial agents. Those same natural antibacterial and anti fungal plant properties also resist from supporting an environment in which bacteria survives making it an odor-free and hypoallergenic material. Bamboo is perfect for anyone with sensitive skin! I love the antibacterial and odor-free factors for Baby Kolton's crib & bassinet sheets. Anything I can do to prevent the growth of germs and odors in a house of 6 I will! Land of the Wee was sweet when they sent us this little gift set and included a note about white crib sheets and how a lot of moms aren't inspired by white crib sheets but they look cleaner longer. I never thought about it before but they're right I have always looked for full color crib sheets on the basis that they were just colorful. But now that I think about it, after the first bottle spill or diaper blow out they are stained and generally look nasty! You can bleach white material, and bamboo is stain resistant. A little bit of spit up or drool isn't going to turn a white sheet whiter but it will turn a blue sheet darker.... I just never thought about it before... From now on, I'll look for white sheets (maybe with some design to keep it fun). I'm a firm believer in bamboo products! The health benefits alone are incredible! And if that's not enough, go to your department store and try to find some bamboo sheets or blankets. One touch and you'll be hooked!! Then come back and order your sweet one a set from Land of the Wee. They are incredibly soft and every baby deserves to be treated like royalty! Over the last couple of weeks I have really looked forward to my morning coffee. We received a huge selection of coffee and hot chocolate from Brooklyn Bean Roastery and the entire family has enjoyed it! Brooklyn Bean Roastery offers such a wide selection of coffee and hot chocolate there really is something for everyone! Plus the boxes are totally fun! The images are cute, like the pancakes on the sleigh for Maple Sleigh. Or the lady with donut eyes for Corner Donut Shop. But there's also really interesting facts on all the boxes. Fuhgeddaboutit which is a super bold, full flavored, very rich blend printed on its box that "Coffee was declared illegal 3 times by 3 different cultures." That's something I didn't know! Oh the Fuhgeddaboutit blend is so strong I couldn't do it but hubby loved it! I think it taste like "old man coffee" ya know the kind grandpa drinks that "puts hair on your chest". Definitely too strong for me but I'm sure papa would love it. Oh and hubby loves saying "Fuhgeddaboutit" told ya Brooklyn Bean Roastery was fun! "If you order a "latte" in Italy, you'll be served a glass of milk instead of coffee"- That's what's printed on the Vanilla Skyline box. All of the Brooklyn Bean Roastery coffees we received can be served iced or hot! I love the Vanilla Skyline and the Cinnamon Subway both cold with a little whipped cream and chocolate. Oh these are amazing! The Cinnamon Subway is my favorite and I'll be reordering it again in the future. Thank goodness for Amazon! The Vanilla Skyline taste creamy and isn't overloaded with sugar. I love vanilla coffee but when companies add too much sugar it pulls away from the rich bean flavors. The Vanilla Skyline has the perfect amount of sweetness while still allowing us to enjoy the quality in the coffee beans. The Maple Sleigh also isn't over powered with sweetness. Which is almost deceiving because when I think of maple I think of all the recipes I use maple syrup in to sweeten them. But it makes a pretty perfect cup of desert coffee. I love coffee after dinner, or anytime for that matter. I just don't function without it. And the Maple Sleigh brings a whole new level of appropriate sweetness to that after dinner cup. Oh crap I just realized my box is empty! Well that bites! Fun Fact for Maple Sleigh box: "In the late 1800, coffee flavoring options included arrowhead, asparagus seeds and baked horse liver. We think maple is better". Oh heck yea maple is better!! Especially Brooklyn Bean Roastery Maple Sleigh! Numm numm numm! So I said the whole family got to try the Brooklyn Bean Roastery products and here's how. They also sent us 4 boxes of flavored hot chocolate! They are so much more than just a coffee company! I've cut myself back on caffeine but I still really like the warm drinks in the morning so I've been substituting my coffee past 2 cups with the hot chocolate which has been amazing! I'm not even a fan of dark chocolate and I love their Midnight Hot cocoa. The Midnight Hot Cocoa is rich, full of flavor, and still enjoyably creamy. In fact all of their hot cocoa's are full of flavor and really creamy! The kids loved the Campfire which is Marshmallow flavored of course. And at first I thought the Carnival flavor was my favorite which is salted caramel, but then hubby kept raving and raving about the Mexican Hot cocoa which is very lightly seasoned with some spice. I never would have thought I would like spice in my hot chocolate but out of the four, that's the one we will be ordering again! We ordered shirts for the boys from Goodie Two Sleeves but they have so many womens shirts as well! They're shirts are soft, funny, and say it all! I love buying handmade products for gifts and both these jewelry companies do so many good things for the women and crafters in their regions. Sashka Co bracelets are made from tiny glass beads all hand crocheted. They are beautiful and they have so many different color assortments you can't go wrong! Waxing Poetic is another one of my favorite jewelry companies. Their pieces are poured from fine metals in hand sculpted molds. The chain on the necklace I received from them is my absolute favorite and the necklace is just absolutely detailed beauty! Love love love this company! Ambrosia Scents Canister is perfect for the Mom who isn't allowed wax melts at work (a lot of teachers, nurses, ect) or a Mom with young children as Wax melts can burn a baby! This canister is a perfect replacement and smells oh so good! Queen Rose Maternity Pillow will help her get a good nights sleep! 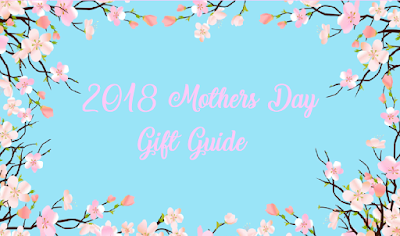 Give mom the gift of sleep for Mother's Day! Ecocentric Mom Subscription Box- This is the box that keeps on giving and will grow with Mom and Baby for as long as you subscribe! An incredible subscription box for the Mom to be or new Mom! Both of these Purelis Naturals Gift Baskets are sure to offer mom a couple days of self pampering! Check out the links to see our full review and their awesome presentation. They come ready to gift or you can ship directly from Amazon and send a personalized message! They are an easy peasy sweet gift for Mom! Sibley Guide to Birds is great for the Mom who enjoys drinking coffee outside while watching the birds. I love taking in the morning from our swing just watching the day begin! Amazon is full of Mom Books from adult color to mom funnies. You can't go wrong if Mom has a sense of humor. Brooklyn Bean Coffee Company is super fun and extremely delicious! They have some really unique flavors that you wont wanna miss! Even the boxes are fun! 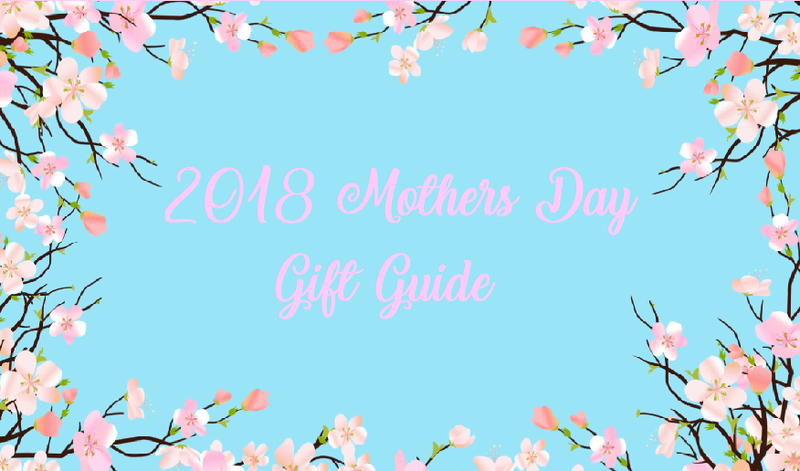 Of course if Mom just has everything you can let Mom pick out her Mother's Day treasures and purchase an Amazon Gift Card for her. Amazon is unlimited at the products she can choose from so if you are still a little clueless, click the link below for an Animated Amazon Gift Card. 30 Little Golden Books under $4! Why Goodie Two Sleeve Shirts? No more food pouches! Use Squeasy Gear instead! Just Cheese- Moon Cheese that is!